The focus of the weekend is a combination of gaming, eating, and generally spending some quality time together with friends from all over. We pretty much span the country with 2 from Ohio, one from California and one from Connecticut – so as you can imagine – there aren’t many chances for us to get together in a single place. All four of us have been gaming forever, and this weekend gives us the opportunity to both play some old favorites that bring back good memories as well as playing some longer semi-epic games that may not fit into the usual weeknight gaming schedule (of course, so long as they fit into a carry-on sized piece of luggage!). Last year, we found a townhouse one block off the French Quarter in New Orleans. The listing had a beautiful long table, perfect for gaming, which sold us on the place – and then the fact that we could walk to the French Quarter in about 5 minutes locked it in. I think that we may have had dining reservations in place first before we even had plane tickets! This year, we decided upon Chicago. This is quite convenient because everyone can fly direct to ORD – though I chose to drive since it’s under 5 hours away. We found a great place right downtown, you can see Navy Pier from the balcony – so we’re about as central as can be (and it includes a parking place!). There are maybe 500 restaurants that we can walk to, and we’re honestly not limited at all as I also have a car – though as it turns out, we never used the car other than getting to and from the airport. The weather held out and we actually found the 10 to 20 minute walks a nice break in between games. As I could drive, I came up a night early to scout out the townhouse and get it ready. A quick trip to Target has us stocked with water, a new coffee maker, cleaning supplies and whatnot. Going to an urban downtown Target was a pretty interesting experience with a guarded underground garage and two stories inside. I’ve never seen an escalator specifically for carts before! (Yes, I’m a sheltered small town kinda guy). I did manage to treat myself to a nice Filipino dinner that first night – as we don’t have a restaurant with my native food back home… Nothing like a platter of fried pork belly to eat, and no family members to have to share it with! All mine! My car was filled with larger games – I was tasked with bringing down copies of some of the larger games so that everyone else could fly in with just a carry-on, and I had the joy of hoofing all the stuff in from the garage to the townhouse – only three trips! I did manage to get the table set up so we’re ready to go as soon as everyone else gets here! Before everyone else arrives, I had the morning free to run some errands and explore the city a bit. I got to indulge my Swedish obsession, and I met an old friend at a place called Ann Sather. They are known for their thin Swedish pancakes and potato sausages, and I couldn’t turn down the chance to try them. I was also told that I had to get the cinnamon rolls, and anyone who has ever been to Sweden will know that they take their fika seriously – and I was pumped to see that a pair of huge cinnamon rolls was A SIDE ITEM to my breakfast sampler! OMG, so much food. I swear, I should try to figure out how to grow Lingonberry bushes in Ohio. I can’t get enough of them! Then, a chance to pick up some pants from one of my favorite places – Mugsy Jeans – I discovered these a few years back, and I’m trying to convert everyone I know to them. They are based here in Chicago, and it was kinda nice to actually get a chance to try them on (though they offer free shipping and returns, so it’s really not too big of a deal to order online). A quick stop at Dollar Tree – because silly me didn’t realize that if a place didn’t have a coffee maker, it likely wouldn’t have coffee mugs! – and then time to hit the airport to pick everyone else up. The other great thing about Chicago is that the airport is so busy, everyone was able to find flights that arrived within 30 minutes of each other. Everyone has piled into the car, and we’re back to the townhouse… well, after stopping at a random Colombian steakhouse along the way – Brasa Roja. Best $5.95 ribeye and beans plate around… No pictures because we were so hungry, I forgot to take a picture. The best I can do is borrow one from the Internet – but trust me, it’s the same plate that I managed to wolf down in about 5 minutes. If I lived close, this would be a regular stop on my lunch tours. But, after getting set up in the townhouse – it’s time for games – first up was Verflucht! which was brought back from Nuremberg for Luke as a birthday present, and he is a serious Benndorf groupie. And… it’s a game. I think the other guys liked it better. We died on the last card, so it wasn’t abject failure – but it seems like we would have won if we drew better and we would have lost sooner if we drew poorer (or should I say worser… JK!). 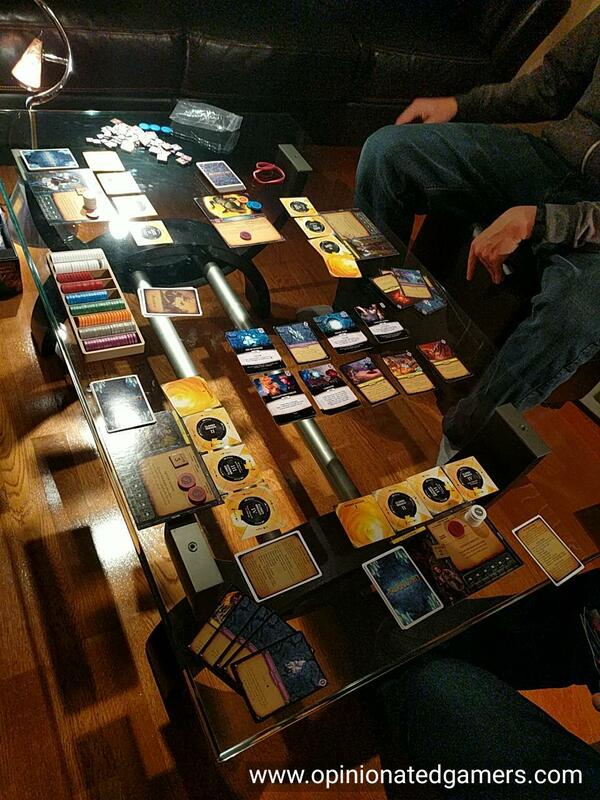 This is a cooperative game where the team tries to survive through the deck. There are numbered cards, something like 1 to 40 in creatures, and the same numbers for items. You flip a card up from the deck, if it is an item, you put it in your hand. If it is a creature, you place it on the table. You then have the opportunity to defeat a creature – to do so, you play card(s) from your hand that match or exceed the value of the creature on the table. If you ever flip up a creature that is directly adjacent to another face up creature, that pair of creatures then attacks. In this case, you can use a single card to vanquish the total pair of the creatures attacking (you normally cannot do ths). If you ever flip up a sixth creature, then one of the creature attacks. The team does have a few cards which will nullify a forced attack; these creatures get shuffled back into the deck. If a creature cannot be killed when it attacks, the players lose. Otherwise, the players win if they can get all the way through the deck. Note that they do not have to kill all the creatures, the board can still have up to 5 face up when the last card is flipped. But, as you can see, you have to be pretty efficient with using the cards as you don’t have any extra numbers! Like many NSK cooperative games, there is the wishy washy rule that you can talk about what you have, but not exactly. I hate this sort of ambiguity, and it’s the same reason why The Game doesn’t sit well with me. Despite that, we had a pretty good time trying to tell each other that we could somewhat efficiently, mostly efficiently or exactly kill off creatures as we made our way through the deck. Like The Game, I’m OK with playing it, and I wouldn’t say no if it were suggested, but I’m not looking to own it, and I’d never ask to play it. After a short prototype interlude, Matthew wanted to play Carnival Zombie. These weekends often turn into big co-op game fests, because we’re all willing to play them, and we generally have long periods of time to set them up and play them without interruption. I had avoided this for awhile because I thought this was something about haunted Ferris Wheels and poisonous cotton candy. As it turns out, it’s really Carnivale in Venice, and we’re trying to bust of out a sinking city that was somehow built on the corpse of Leviathan. Or something like that – the story kinda went over my head here… So, the theme seems better now that I know more about it – and it was an enjoyable enough co-op experience. It’s a pretty good cooperative game with tension all the way thru, though I was a bit disappointed in the abrupt and completely luck based ending of our particular game. I was told that this was partly due to the choices we made in the game – but it was the sort of thing that I dislike in a two hour game; I don’t want the overall result to essentially come down to a card flip. The other guys, who had played the game before, said that this was mostly due to the ending that we chose to pursue (Trying to find the boat). We would not have had the same sudden death ending say if we had tried to go over the bridge or find the blimp. After we failed Venice and let it sink into the see, we took a break for dinner – we got a chance to try out an awesome Peruvian restaurant that one of my wife’s cousins runs. The food at Tanta Chicago was amazing, and we were quite stuffed after eating all the things. e did manage to walk off some of the calories after getting a bit lost on the way home– just like when I was in Stockholm, I was reminded of the difficulty that my 2D GPS map system has with a 3D city. Chicago is a maze of upper and lower streets, and we somehow got turned around a bit trying to make turns in the middle of an overpass… As we were walking around, I was also amazed by the amount of civil engineering that was needed to have the buildings and roads exist on three or more levels near the river. 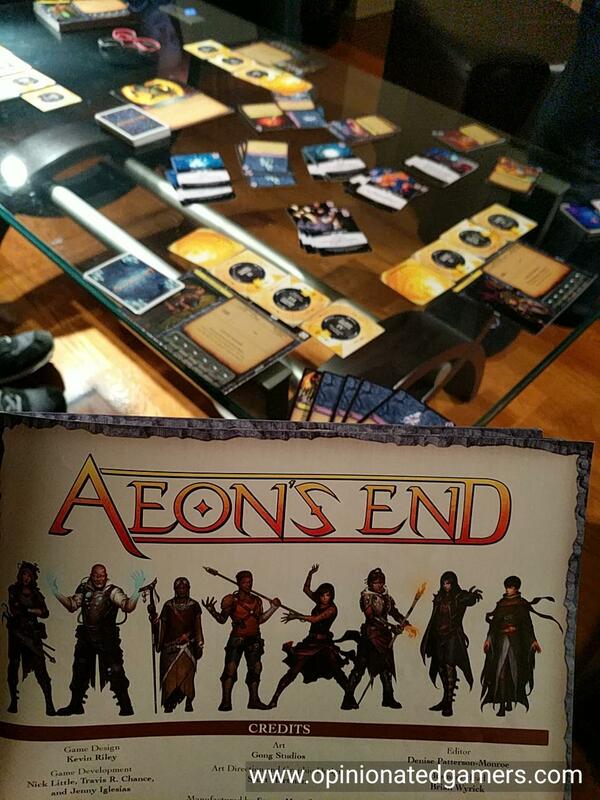 I like the different ways that you need to play the game based on the heroes, spells and Nemesis in play in a particular game, and I really loved the base set where you could pretty much just throw stuff out at random. I am less enamored of the more recent set where you sometimes have to craft your strategy before playing – that is choosing the “right” heroes and “right” spells to go up against a particular Nemesis. More about the trip tomorrow! This entry was posted in Convention Report. Bookmark the permalink. I enjoyed the real time Instagram posts, but it’s great to get the rest of the story! Wow… I’m just so pleased for you guys, and seething with jealousy 😁 — sounds like an awesome week ahead, and looking forward to reading the rest of your write-up. And the food pics certainly whet the appetite! Great write-up, Dale. I hope there will be fewer co-ops the next few days. But OMG, fried Filipino pork belly! It’s the best!